In June, 20 major economic powers will gather in Osaka for the G20 summit, and the 7th Tokyo International Conference on African Development will be held in August in Yokohama. As the host country of these important high-level dialogues, Japan will contribute to promoting health and well-being in both the developed and developing worlds. 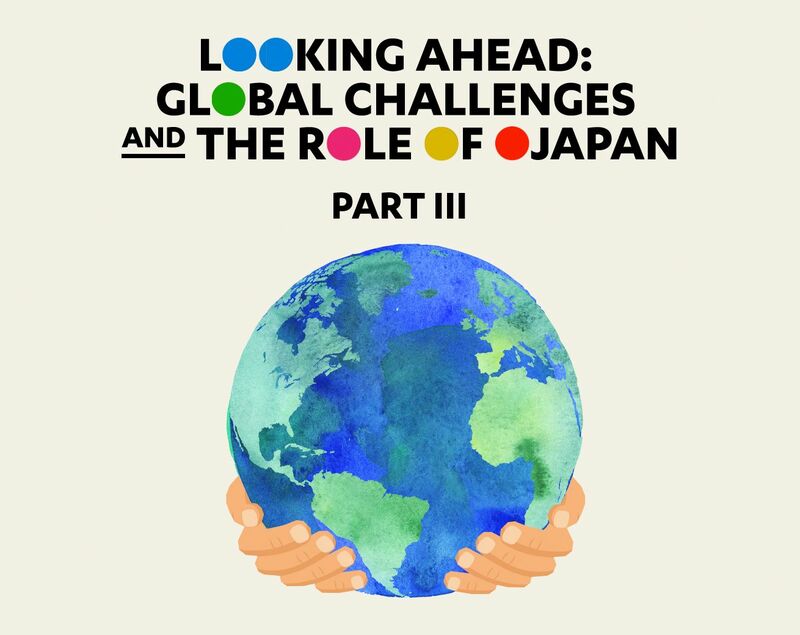 Here, we share several examples of Japan’s contributions to the diverse field of global health and its key assistance in addressing issues like poor nutrition, infectious diseases and lifestyle-related illnesses. Nutritional balance is fundamental to improving well-being, and Japan has important lessons to offer in this area: Thanks to good diet and access to health care, the average life expectancy in Japan is 84.2 years old, the longest in the world. Dr. Akiko Hagiwara asking for opinions while giving out a maternal and child handbook. Good nutrition needs to begin in utero. However, of the 667 million children in the world under the age of 5, nearly half suffer from some form of malnutrition. While the rate of undernutrition is declining in much of the world, in some African countries it is still rising. In addition to short-term solutions like food assistance, long-term solutions including nutrition education are essential to improving diets in developing countries. For more than 10 years, Japan has been communicating with trainees from sub-Saharan African countries about efforts in nutrition education and maternal and child health. After returning home, trainees share information about nutritionally balanced meals in their native countries. In addition, 9 million maternal and child health handbooks have been issued globally with the cooperation of Japan International Cooperation Agency (JICA). These manuals are proven to be an effective tool for tracking health and nutritional levels from early pregnancy to infancy. Kept at home, they store records on the mother’s pregnancy and postnatal care—as well as information on immunizations, breastfeeding and proper diet—and can be shared with the family, caregivers, doctors and other officials. They are informative for mothers when consulting health workers and help bridge the gap between families and medical institutions. 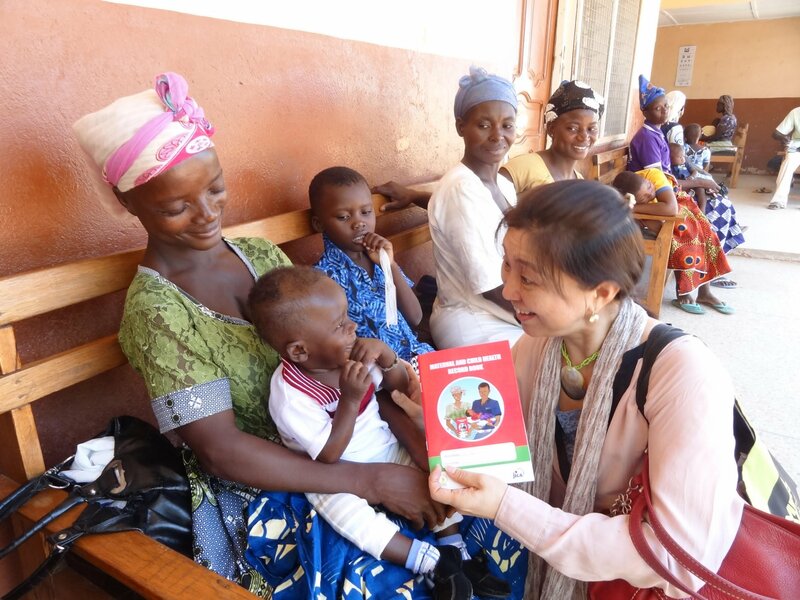 Dr. Akiko Hagiwara, a JICA senior adviser, has worked to develop and promote the maternal and child health handbooks in the Middle East and Africa. She is currently in Ghana, where malnutrition is a serious problem for mothers and children, training 1,000 health care providers to spread understanding of the handbooks nationwide. Dr. Elizabeth Luvai conducting research at Nagasaki University in Japan. Even with better nutrition and growing life expectancies, infectious diseases like AIDS, malaria and tuberculosis are still a major problem in both the developed and developing world. They are also a leading cause of death in places like sub-Saharan Africa and, with increased globalization, can spread from country to country. Japan's experience with human resource development in the field of infectious diseases has been helpful here, as well. JICA has launched the Partnership Building Resilience against Public Health Emergencies through Advanced Research and Education initiative to expand the capacities of experts and policymakers in developing countries engaged in infectious disease control, especially in Africa. The program is also aimed at establishing networks between countries to enable effective response and cooperation during emergencies. 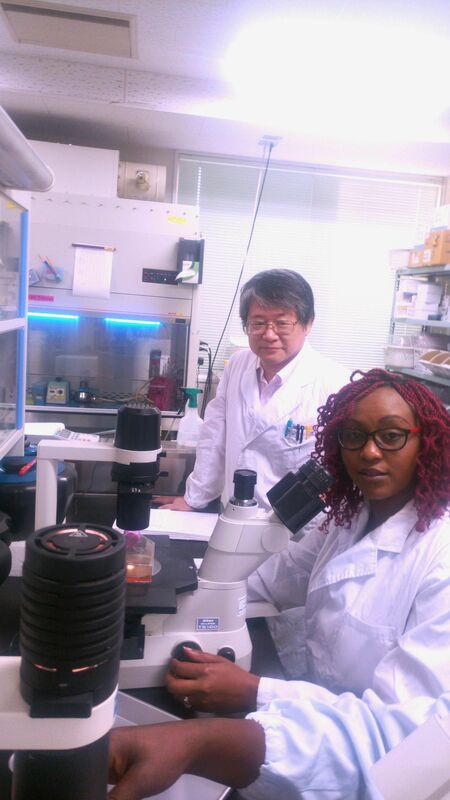 Through this initiative, Dr. Elizabeth Luvai, a researcher at Kenya Medical Research Institute, received a PhD scholarship from JICA and was enrolled in a program at Nagasaki University for nurturing global leaders in tropical and emerging communicable diseases. Urbanization and improvements in diet and disease prevention have raised life expectancy in both the developing and developed worlds. Yet there is still much to be done: The rise in illnesses associated with aging and lifestyle, including cardiovascular disease, cancer and diabetes, remain a major concern. This trend increases the need for both preventative medicine and education on maintaining a healthy lifestyle, areas in which the Japanese health care industry can play an important role. A nurse explains daily care to her client at Riei Nursing Home in Thailand. Thai Riei & Elderly Care Co., Ltd.
Asian countries such as China, Singapore, Thailand and Vietnam are likely to become super-aging societies even more quickly than Japan did. Thailand, in particular, is on track to have the highest share of elderly people in East Asia—swelling from 7.5 million people age 65 and older in 2018 to 17 million by 2040. Because Japan has developed singular experience and strengths in preventative medicine, geriatrics and longevity as it addresses the needs of its own aging citizens, it can offer insight and guidance to other countries facing this transition. 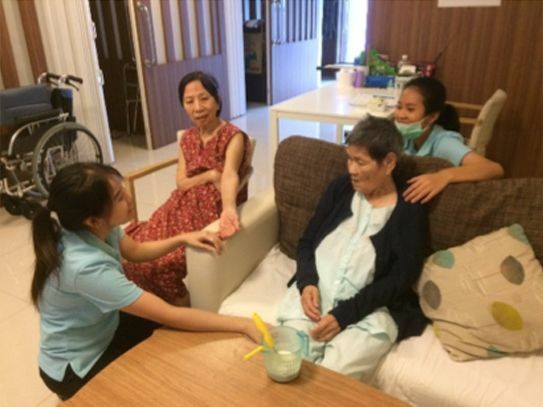 In January 2016, Riei Company Limited, a Japanese company in the nursing-care services industry, opened its first home for the elderly in Thailand, following the Japanese caregiving model of detailed plans customized to each resident. The 20-room Riei Nursing Home LadPrao in northern Bangkok stresses self-reliance, with rehabilitation to maintain and improve residents’ physical abilities. Riei’s nursing staff interacting with their clients. Thai Riei & Elderly Care Co., Ltd.
Riei is also working on training local personnel so that a sustainable caregiving business can take root in Thailand: Japanese trainers work with local caregivers, many of whom are women, focusing on caregiving techniques and Japanese customs and manners so the caregivers can serve their residents more thoughtfully. 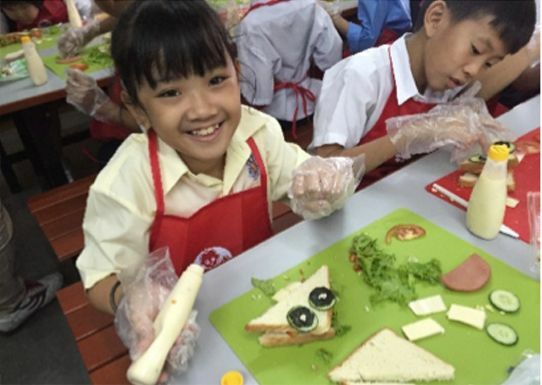 A student enjoying a sandwich-making class in Malaysia. Kewpie Malaysia SDN. BHD. Poor diet, a major contributor to lifestyle diseases, is a growing problem in both the developed world and emerging regions like Southeast Asia. Malaysia, for example, is facing a rapid rise in obesity: While the obesity rate was 5.5 percent in 1996, it rose to 15.6 percent in 2016, nearly three times higher. 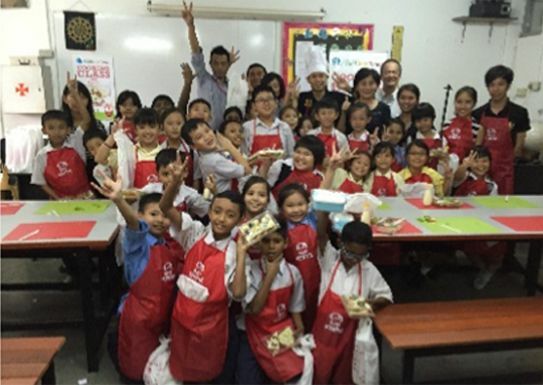 To address this crisis and as a part of commitment to social responsibility, a Japanese food manufacturer is supporting efforts to improve nutrition in Malaysia: Kewpie Malaysia held a cooking class for elementary-school children in Kuala Lampur, showing them how to make nutritionally balanced sandwiches using raw vegetables. Students and teachers gathering together in a sandwich-making class. Kewpie Malaysia SDN. BHD. Kewpie Malaysia plans to continue the program, hopefully ramping up to visit 50 schools per year.